There may be no greater feeling of desperation than that of a mother whose baby needs help that she is incapable of providing. But even in the most hopeless of situations, the bonds of maternal love and loyalty may bend - they will not break. Here's a heartrending story to prove it. 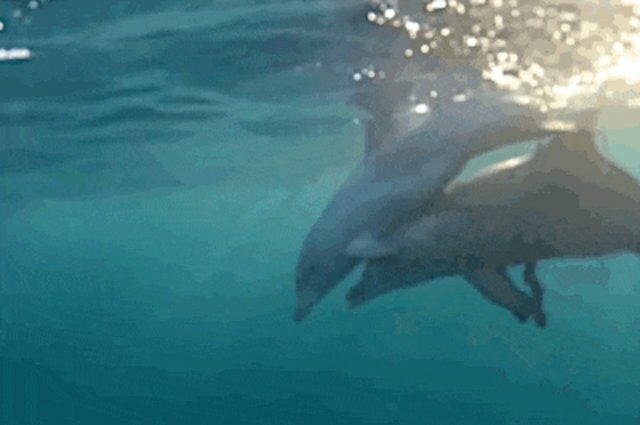 Marine conservation group Sea Shepherd has released footage showing the incredible actions of a dolphin whose calf wound up in a life-threatening predicament. 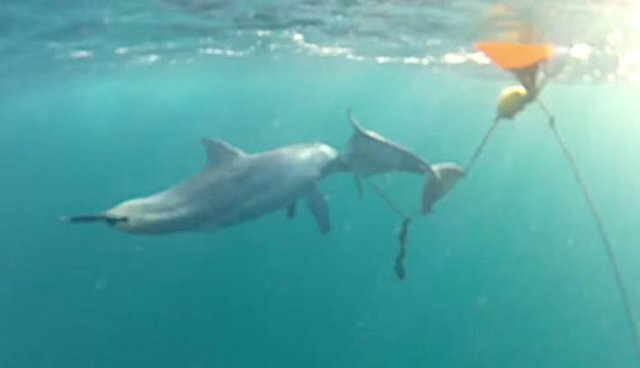 While swimming in the waters off the Gold Coast of Australia with her mother, the dependent youngster became ensnared on the sharpened end of a baited hook that had been placed there to catch sharks. With no way to escape the painful trap, the baby would likely have died if it weren't for her mother. Refusing to give up hope, the dedicated parent can be seen doing all she can to help, repeatedly nudging her weakened offspring to the surface to breathe. It's unclear how long the parent had been locked in this struggle to keep her calf alive, but fortunately they were discovered by divers in time. Since the calf, later named Kyra, had suffered serious injuries from the hook, rescuers decided to take her ashore to get medical help - preserving her life, but only in measure. "As Kyra tried to free herself, she continuously rubbed against the chain associated with the drum line, eventually leaving her blind in one eye," Sea Shepherd writes. 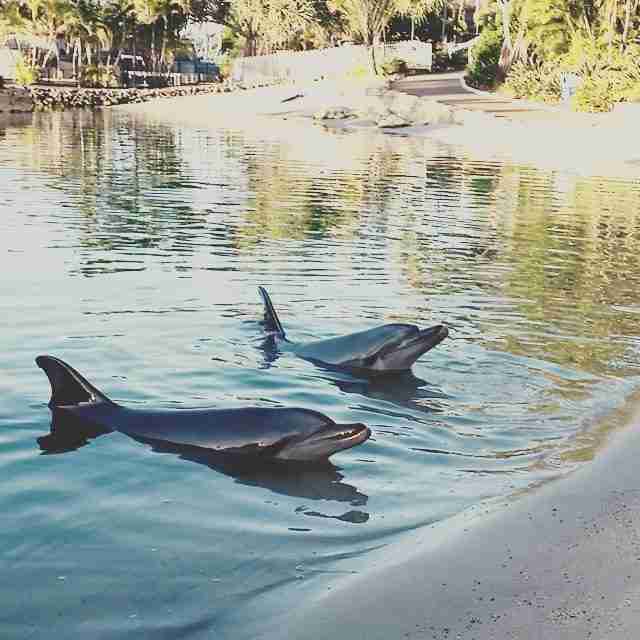 "Kyra was taken to SeaWorld as a result of this incident and remains in captivity." Although meant to catch sharks approaching popular beaches, baited hooks, lines and nets kill thousands of animals off the coast of Australia annually. According to Sea Shepherd, less than half of the over 100,000 animals who've been caught in these undiscriminating traps over the last 52 years have been sharks. Sea Shepherd is actively campaigning for smarter shark control measures, lest desperate scenes like the one above continue unseen and unabated.